EXECUTIVE SUMMARY: More important than achieving international recognition of Jerusalem as Israel’s capital is the necessity of ensuring Israeli sovereignty over the city itself. This means prohibiting Palestinian Authority officials from residing in Jerusalem, especially those involved in surveillance and intimidation of Arab residents and the organization of protest and incitement against Jewish residents. Establishing a liaison office at the Israeli police department in Jerusalem would allow Arab Jerusalemites to report harassment. Benjamin Netanyahu takes pride in having played a key role in President Trump’s decision to move the US embassy from Tel Aviv to Israel’s capital and in coaxing other states to follow his example. At the same time, there are worrying signs that in Jerusalem itself, the government is failing to ensure Israeli sovereignty over a united Jerusalem. It is allowing a substantial Palestinian Authority presence in the Arab neighborhoods of Jerusalem, from which they intimidate and coerce Jerusalem’s Arab residents to further the PA’s interests and undermine Israeli sovereignty. 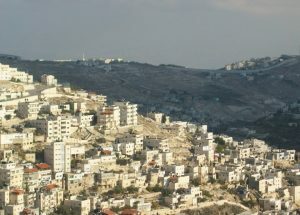 The recent abduction in Ramallah and prolonged incarceration of Issam Aqel, a Jerusalem resident, by the PA’s General Intelligence Agency, for selling land in Jerusalem, and Israeli moves against the abduction reveal how extensive and intimidating is the PA’s presence in Jerusalem. To begin with, the abduction only came to light because the Jerusalem resident was a citizen of the US, a fact that emboldened the family to publicize the event. One suspects that the abduction of other Arab residents who are not fortunate enough to be US citizens may never have come to light for fear of further retribution by the PA. Worse yet, Aqel had gone to the Israeli police before his visit to Ramallah to warn the authorities that he might be in danger. He evidently hoped the Israeli police would react promptly in case he was abducted. Aqel carried a blue identity card and is an official resident of Jerusalem. He had hoped that this would protect him. Yet when Aqel was first abducted, the Israeli police did nothing, claiming that he had left voluntarily for Ramallah. It was only after his arrest hit the news that the Israeli authorities responded by arresting Adnan Gheith, a long-time Fatah activist in Jerusalem, and Jihad al-Faqih, an officer in the PA’s General Intelligence in charge of Jerusalem. Gheith has a long record of leading violent demonstrations against the police and Jewish inhabitants in Silwan and of organizing both violent and non-violent vigils surrounding the Temple Mount. Gheith was recently promoted by the PA to Governor of the Jerusalem District, no doubt as a reward for his more than decade-long efforts to mobilize Jerusalem residents against Israeli sovereignty. But by appointing a “muscleman” to the position, the PA was also signaling to Arab Jerusalemites that it means to ensure that they abide by its dictates. One of the most important of those dictates is the prohibition against selling land to Jews. Acts of intimidation quickly followed Gheith’s promotion. The Muslim Joudeh family, one of two families entrusted with the keys to Church of the Holy Sepulchre, took the keys away from family member Adeeb Joudeh after he sold his house to Jewish settlers. They had likely been intimidated into doing so by the PA.
More unexpected were the events surrounding a harrowing traffic accident between a truck and a van transporting East Jerusalem workers on the Jericho-Beit Shean road in the Jordan Valley. Five workers were killed in the crash. One of the bereaved families tried to bury their deceased in a burial site near the Temple Mount, but were prevented from doing so by rioters who accused the family of selling land to Jews. The aspect most injurious to Israeli sovereignty was the contrast between the treatment meted out to Gheith and al-Faqih and that suffered by the abducted Aqel. The former were quickly released by the Israeli authorities, but Aqel disappeared for a week inside a PA jail until his wife mustered the courage to inform the US consulate. She was then informed of his detention and allowed to visit him, but he was not released. As Israeli MK Bezalel Smoutrich pointed out, had Aqel been a Jewish resident of Jerusalem, the Israeli authorities would have put sufficient pressure on the PA to release him as swiftly as they released Gheith and al-Faqih. Why should the fate of an Arab Jerusalemite be any different from that of a Jewish Jerusalemite? Sovereignty over Jerusalem means according all its residents equal protection. The real issue, however, is not civil rights, as important as those rights may be. The real issue is the lesson learned by Arab Jerusalemites who want to live in peace with their Jewish neighbors. That lesson is clear: Israel will not protect you. The PA, “unfettered by a High Court of Justice” in the words of Yitzhak Rabin, is enabled to intimidate and imprison people without regard to human rights in clear infringement of Israeli sovereignty over its capital. More important than achieving international recognition of Jerusalem as Israel’s capital is the necessity of ensuring sovereignty over the city itself. This means prohibiting residence in Jerusalem to PA officials, especially those involved in surveillance, intimidation, and the organization of protest and incitement against Israeli Jewish residents and visits to the Temple Mount. A liaison office should be established at the Israeli police department in Jerusalem that would allow Arab Jerusalemites to report harassment and that would penalize those harassing them, according to Israeli law. This policy should be publicized by leading Israel officials in broadcasts on Israeli Arab radio, on television, and in media sites such as al-Quds, the Jerusalem-based newspaper. It goes without saying that those involved in this intimidation, from PA officials who incite to such acts to local Fatah bully boys, should be prosecuted for such incitement and harassment. Often in the Middle East, where the law of the jungle largely prevails, Israel is compelled to act accordingly to protect itself. Ensuring sovereignty over Jerusalem is entirely different. Arab Jerusalemites must be fully protected from the PA’s laws of the jungle, and Israel must act forcefully to uphold the law. This is a legal battle Israel cannot afford to lose. Laws and rights are only meaningful if they are backed by the power of the State and institutions that brought them into existence in the first place. This article was published in The Jerusalem Post on November 11, 2018.